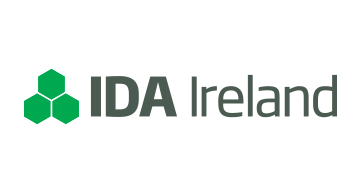 Ireland’s inward investment promotion agency, IDA Ireland (Industrial Development Agency) is responsible for the attraction and development of foreign investment in Ireland. The agency manages an investor portfolio of 1,400 international companies, employing more than 230,000 people. Today, Ireland is home to leading technology and financial services companies including Paypal, Amazon, Apple, Bank of America, Citi, Google, Facebook, Microsoft, Twitter, Wells Fargo, Chase Paymentech, Elavon, First Data, Global Payments, MasterCard, Stripe, Square, Yapstone, Coinbase, Western Union etc. Ireland continues to win international investments from global corporations because it is seen as a business location where the workforce, as well as being highly qualified, has a unique capacity to improve, to innovate and to initiate new ideas and new ways of working that can make business more dynamic, more efficient and ultimately more profitable. For more information on investing in Ireland, come meet us at booth #4219 or visit www.idaireland.com.